The first scene illustrates a fable by La Fontaine, and is taken from an engraving after a painting by Nicolas Lancret. La Fontaine, basing his fable on Boccaccio's The Decameron, describes how the widower is so afraid that his inquisitive and naïve son will be distracted by women that, on being asked by his son what they were, he tells him that they are goslings. There are at least four services with different borders with this scene. 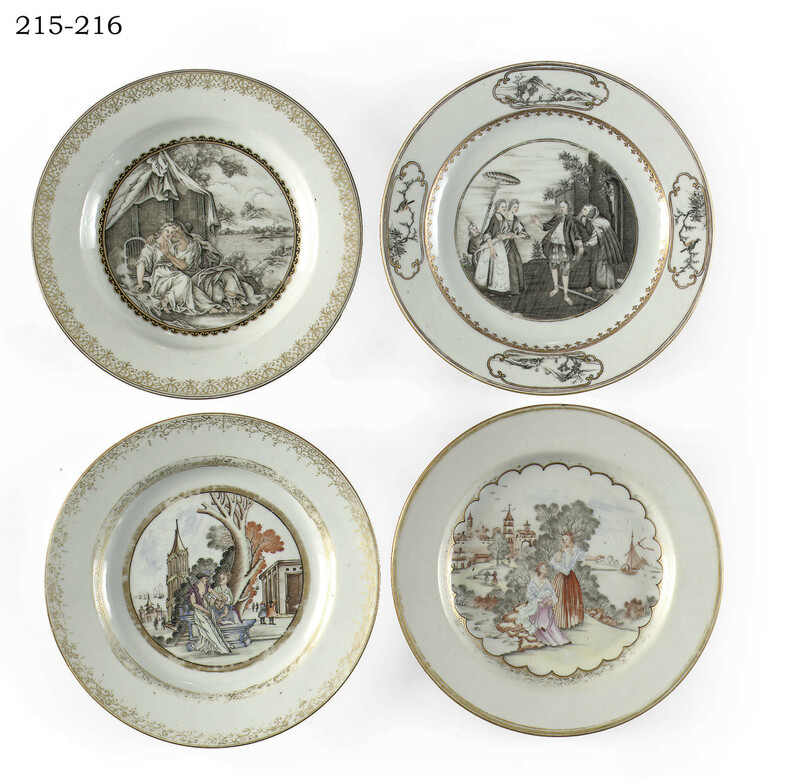 For a similar plate with this border in the Zeeuws Museum, Middelburg, see D. F. Lunsingh Scheurleer, Chinese Export Porcelain - Chine de Commande, London, 1974, fig. 218, and a copy of the print as fig. 217. A similar plate was sold at Christie's London, 17 June 2003, lot 33 and on 11 May 2004, lot 124.